The “Blog” of “Unnecessary” Quotation Marks: "wet" "paint"
I think the elipses here add an extra bit of mystery. 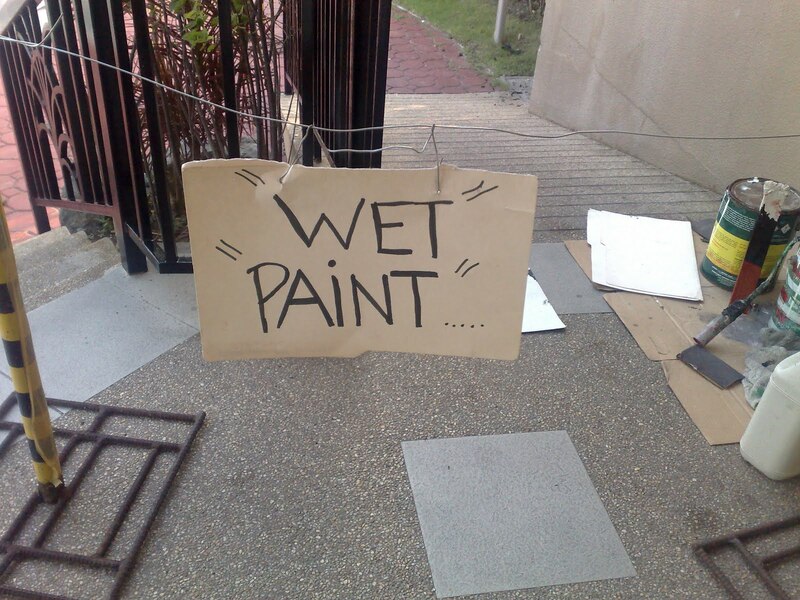 Perhaps the paint is about dry by now, but may become wet at any time. Thanks, Sanrio. And blast that dotted capital I! ClassicSteve, it's not an 'i' dot it's a "drop" of "wet" "paint". WV: tching: what some of our English instructors need to do regarding the use of quotation marks.